Daniel Swann is an agent with British Intelligence. He has been one for quite a few years; nearly two decades have passed while he worked his trade in the Far East "doing unmentionable things for Betty Windsor's mob" (it took me a couple of minutes to figure out who Betty Windsor was). He is quite good at it as evidenced by the fact that he is still alive and still doing those naughty things for Queen and Country. Swann is 42 as the series starts so considering that he has been doing what he does for as long as he has shows he started in his early 20s, most probably while in the British military. How he moved from there to his current employer is not said (that I could read) but is not hard to figure out since the military is a common recruiting area. The role Swann plays for his employers is a simple but deadly one. As he puts it, he has "the unique ability to find people and kill them. I am a hunter. I’m trained to hunt people to the death". He does it very well and though he does not particularly get along with his primary boss, Bernard, he likes his work enough to keep doing it. The enjoyment, it is important to remember, is not from the killing. He is not a sociopath or sadist. He is a hunter and hunters hunt and the fact that at the end of the chase there is usually a bad guy to remove is just the way it is. He comments once that he enjoys a near photographic memory which he has found to be "a blessing at times and a curse at others". In his work, forgetting anything can be deadly but when the action is over and the nights are long and the ghosts come to visit, being unable to forget is not pleasant. Unmarried, and apparently always that way, Swann is a big fan of the ladies and enjoys their company frequently but he routinely finds companions who have his same attitude towards extended relationships or lack thereof. He is in quite good shape for someone his age but since many of the ladies who occupy his bed are a decade or two younger, he is under no illusions about time not having an effect. Still, he does what he does because that is what he does and he has no intention of changing it, assuming the people he hunt don't change it for him, permanently. 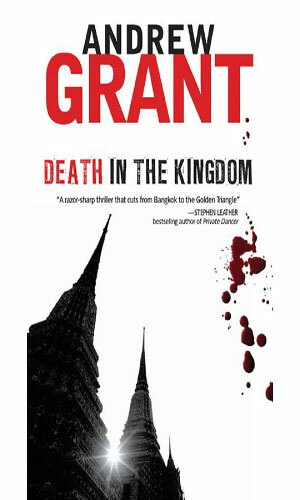 The Kingdom is that of Thailand and the death may soon be that of operative Daniel Swann. Years before he had first saved the life of crime boss Tuk Tuk and later took the life of the gangster's son. Now Swann must return to that country and ask for Tuk Tuk's help in recovering a box from a sunken ship. Trying out semi-retirement, Daniel Swann is living in Hong Kong when a call from an old friend in Thailand results in his going up against drug lords from two continents as well as Chinese Triads and other unpleasant sorts in a hunt for $2 billion dollars. 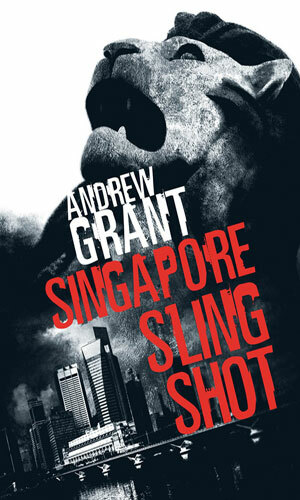 The author of this series, Andrew Grant, shares the name of another author of spy novels and when I look to see what else the first Mr. Grant has done, I get a list of the work of the second. The same goes with his background. There is a bio in the back on one of the books that tell how Mr. Grant is a New Zealander who has written 12 books but what they are is not given. He is a darn good writer and he has created a very interesting character, one I would not mind hearing more about. Unfortunately, the two books seem to be all there is from this gentleman. Daniel Swann is enjoyable because he is very good but very human and can make mistakes and can find ways of surviving them. He has a pretty good sense of humor and even better sense of B.S. and that has helped him stay alive for as long as he has. He is not overly weighed down by his past. He acknowledges that he has done some things in his work that he would rather not have done and that it bothers him on many occasions but the reader is spared unpleasant angst because that is Swann's problem, not ours.